The standards which every operating department practitioners must meet in order to become registered. 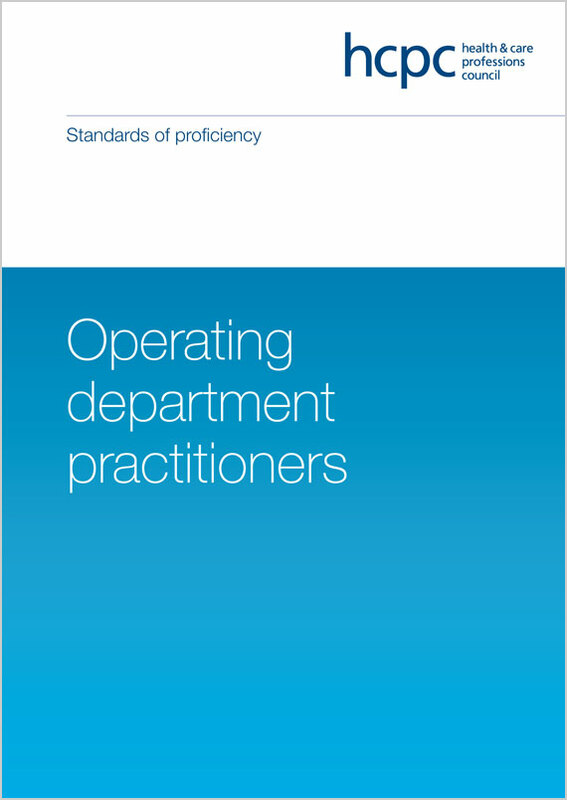 Once registered, operating department practitioners must continue to meet the standards of proficiency that are relevant to their scope of practice - the areas of their profession in which they have the knowledge and skills to practise safely and effectively. These standards are effective from 2 June 2016.